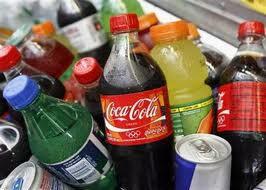 – From 2008-2010, children and teen exposure to full-calorie soda TV ads doubled. This increase was largely driven by Coca-Cola and Dr. Pepper Snapple Group; in contrast, PepsiCo actually decreased their sugary drink television advertising by 22%. – Minorities are heavily targeted by advertisers in this arena. Black children and teens saw 80-90% more ads for full-calorie beverages than white youth between 2008-2010. Marketing on Spanish-language television is also growing; Hispanic children saw 49% more ads in this two-year period, and teens saw 99% more ads. And Hispanic pre-schoolers saw more ads for Coca-Cola products than Hispanic children or teens. – 63% of all full-calorie beverage advertising included sponsorship of an athlete, sports league or team, event or cause. All of this is horrible. Sugary drinks should not be at the top of any grocery list during an economic recession and an epidemic of childhood obesity, and yet that’s where they’re going. But what are we supposed to do about it? You can sit around and whine, or you can take action. Mass media production may seem like a big giant to take on, and we’re not going to tell you otherwise. However, when we all work together and demand change, the industry is compelled to change by more than just a sense of corporate ethics. (Recent example: McDonald’s adding more fruit and veggies to Happy Meals.) In no particular order, here are five things you can do right now to take a stand. 1. Get educated. It may be cliche, but knowledge really is power. Once you know how ads are working on you, you’ll likely be less susceptible to falling for false or misleading claims. You’ll also be able to make your own decisions, instead of feeling the way an advertiser wants you to feel about a product or service. A great place to start is our very own LAMPlatoon, where you can watch videos (made by children and adults) responding to the various assumptions and techniques present in advertising. You can even go further and make your own LAMPlatoon video, and then you’ll really be able to break down what’s happening in the ads you see every day. Other good resources include the Appetite for Profit blog, Campaign for a Commercial-Free Childhood and the Media Education Lab. 2. Work your wallet. It’s one of the most powerful means of expression you have. When you pay for products that are irresponsibly marketed, you’re supporting those marketing techniques by pumping fuel into the company’s machine. So stop buying them, or, at the very least, buy less of them. Part of the issue with marketing sugary beverages has to do with excess, and while we don’t expect advertising to go away, we do expect some discipline in how advertisers do their jobs. 4. Talk to CARU. This is the Children’s Advertising Review Unit, a self-regulatory effort by the National Advertising Review Council which “evaluates child-directed advertising and promotional material in all media to advance truthfulness, accuracy and consistency with its Self-Regulatory Guidelines for Children’s Advertising and relevant laws.” As presented by the FACTS study mentioned above, it seems they may be missing a few things. Tell them about it here. 5. Write to your elected officials. Even though the advertising industry is largely self-regulated, that doesn’t mean the people you put into office can’t do anything about it. Your state-level and federal representatives are meant to serve you and your concerns, so put them to work. Click here to find out who represents your area.